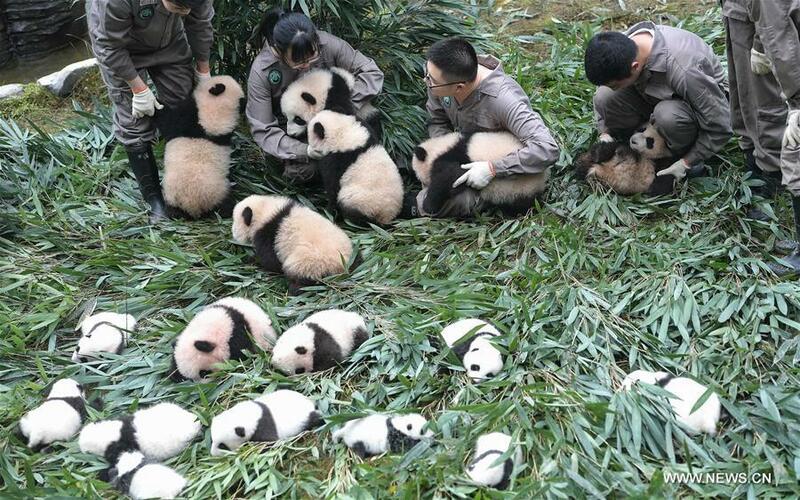 Update by SNZP Giant Panda Keeper Marty Dearie. 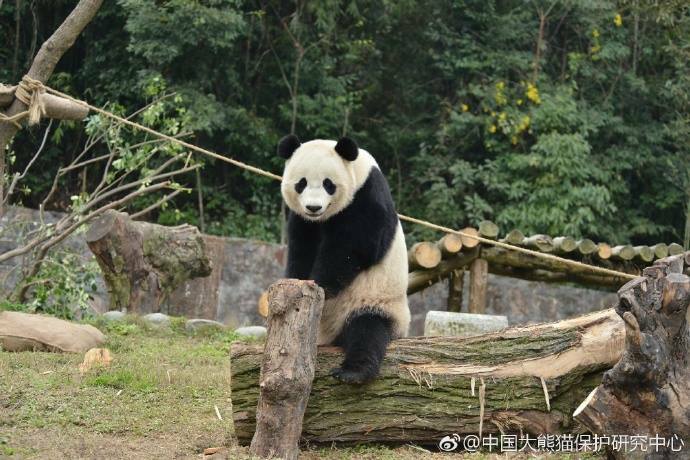 Bao Bao is settling in China at the Dujiangyan panda base. Our 16-hour direct flight aboard the FedEx Panda Express was smooth and Bao Bao did really well. She ate and slept the entire way to Chengdu, just as we expected. All the weeks of acclimating her to her travel crate paid off. 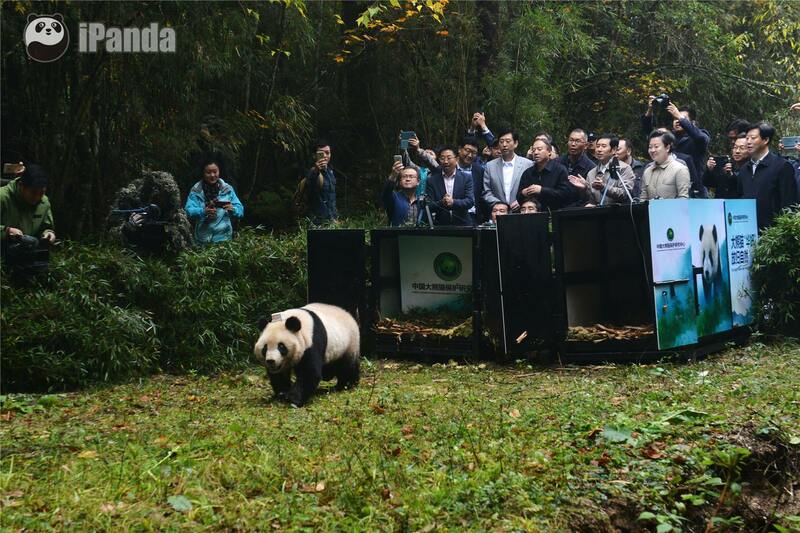 Upon arrival at the Dujiangyan panda base, Bao Bao walked into her new enclosure within one minute of when her new keeper opened her travel crate door. She immediately starting exploring and was very relaxed. 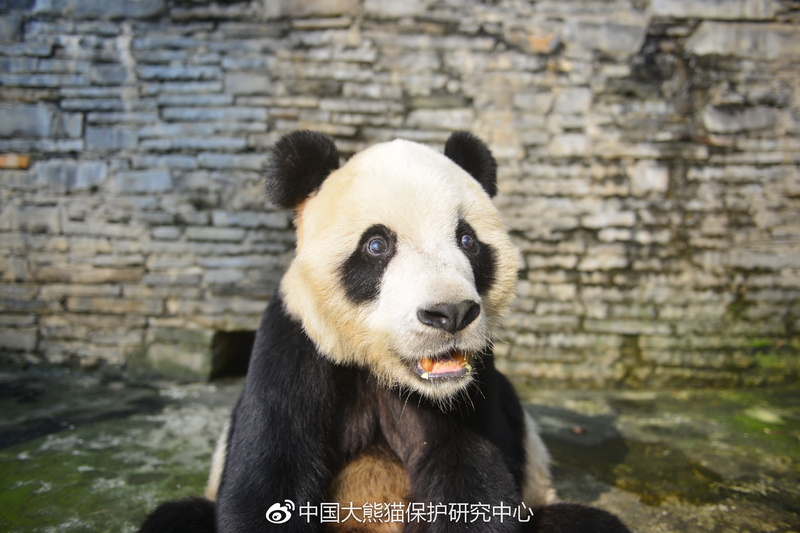 I stayed at Dujiangyan for three days, in case there were any questions about her, or if it seemed like she needed a familiar keeper. True to her character, Bao Bao was very independent and began taking food from her new keeper immediately. Her diet in China will be similar to what she ate at the Smithsonian’s National Zoo. She has more variety of bamboo to eat, and she started eating it right away. She surprised me when she ate a carrot offered by her keeper—carrots were always one of the diet items she was less enthusiastic about when she lived at our Zoo. She didn’t choose to eat the specially-made panda bread, but she will likely acquire a taste for it with time. It’s more important that she eat bamboo than the panda bread. Bao Bao also participated in training sessions and performed behaviors that we taught her over the last few years without missing a beat. 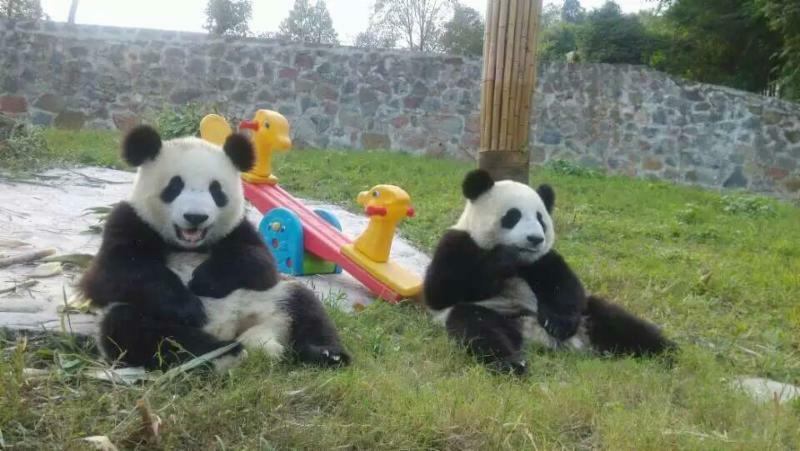 Our Chinese colleagues use very similar, or the same body gestures, to communicate to pandas what we need them to do. Bao Bao picked up on all the hand signals and body gestures paired with verbal cues in Chinese very quickly. By the time I left, Bao Bao preferred to interact with her new keeper, which is what I was hoping would happen. She quickly realized that he would be feeding her and began responding to him. At the time of my departure, Bao Bao seemed very comfortable. Hopefully, in a few years our colleagues in China will share happy news with us that Bao Bao has become a mom. Several of our scientists from the Smithsonian Conservation Biology Institute and our chief veterinarian were in China shortly after I left Dujiangyan. They happened to see Bao Bao while they were there and took some photos of her enjoying bamboo shoots in her new yard. Back at the Zoo, we are in the early stages of Bei Bei’s life as an independent bear. Just as we observed with previous cubs after the first week of living apart, Mei Xiang and Bei Bei have begun to settle into their new independent routines. They both spend less time wandering and vocalizing to each other, which is not unusual behavior for a mother and cub during the transition. Bei Bei has acclimated to his new yard and indoor enclosure. He is spending the same amount of time eating, sleeping and engaging with enrichment as he did before living separately. We’ll continue to monitor both bears and provide support and individual attention as necessary through this transition. Mei Xiang has been displaying some pre-estrus behaviors over the last several days, including wandering, water play and she was caught on the panda cams scent-anointing herself yesterday.